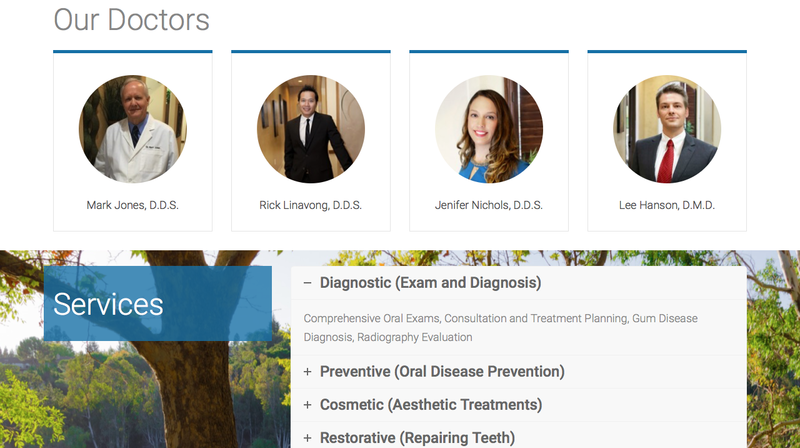 Lakeside Dental came to us looking to modernize their existing website, to showcase the doctors and renovated office, and relate to a younger crowd. 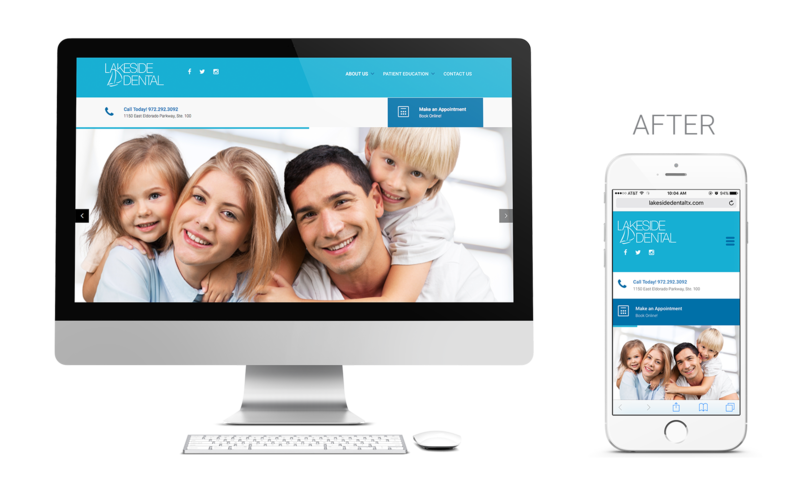 Their old site was not mobile responsive and did not reflect the style the business wanted to project. 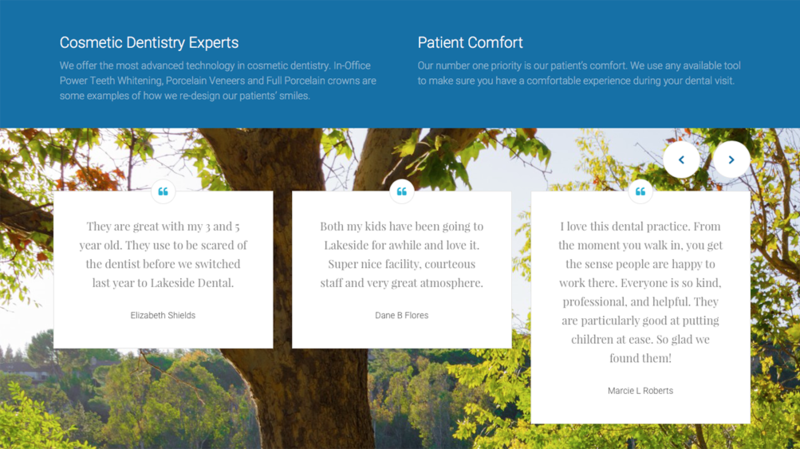 We incorporated elements that were already in play with the branding of Lakeside, but brightened colors and restyled certain elements to create a modern look. 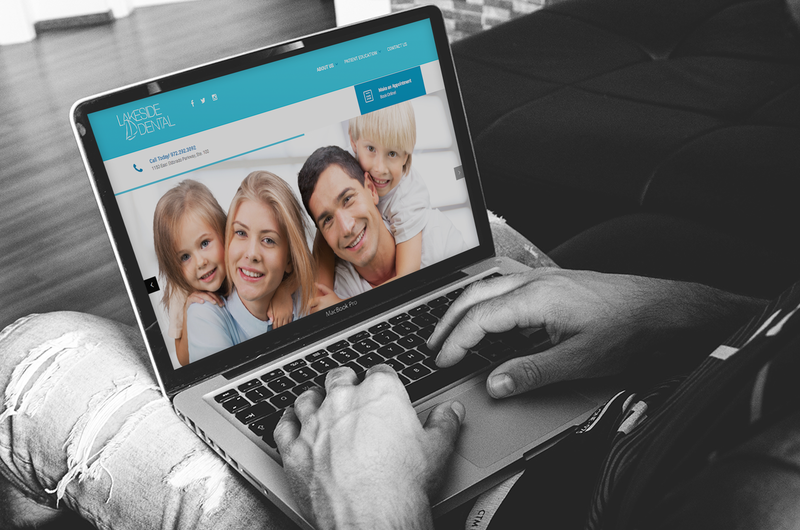 The refresh of the website gave the business the final touches to their branding facelift that they needed to appeal to the younger demographic that was moving into their neighborhood.